Do you have a green thumb? Come help the residents and staff of Northwind beautify and maintain their courtyard! We are seeking friendly volunteers who are happy to get their hands dirty gardening while befriending residents. Horticulture majors encouraged but not required. We will work around your schedule! After you have your TB test results, contact Toka Cummings to discuss opportunities, availability and additional clearances. 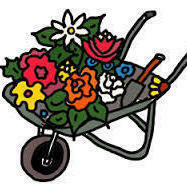 Log in to see who is volunteering for Courtyard Gardener!